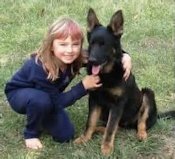 Schutzhund (German for "protection dog") is a dog sport that was developed in Germany in the early 1900s as a breed suitability test for the German Shepherd Dog. The test would determine if the dog displayed the appropriate traits and characteristics of a proper working German Shepherd Dog. Today, it is used as a sport where many breeds other than German Shepherd Dogs can compete, but it is a demanding test for any dog that few can pass. Schutzhund tests for these traits. It also tests for physical traits such as strength, endurance, agility, and scenting ability. 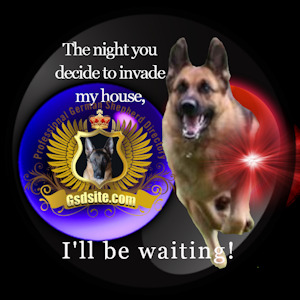 The goal of Schutzhund is to illuminate the character and ability of a dog through training. Breeders can use this insight to determine how and whether to use the dog in producing the next generation of working dogs. There are three schutzhund titles: Schutzhund 1 (SchH1), Schutzhund 2 (SchH2), and Schutzhund 3 (SchH3). SchH1 is the first title and SchH3 is the most advanced. 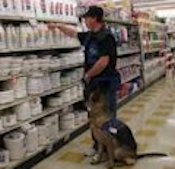 Additionally, before a dog can compete for an SchH1, he must pass a temperament test called a B or BH (Begleithundprüfung, which translates as "traffic-sure companion dog test"). The B tests basic obedience and sureness around strange people, strange dogs, traffic, and loud noises. A dog that exhibits excessive fear, distractibility, or aggression cannot pass the B and so cannot go on to schutzhund. The tracking phase tests not only the dog's scenting ability, but also its mental soundness and physical endurance. In the tracking phase, a track layer walks across a field, dropping several small articles along the way. After a period of time, the dog is directed to follow the track while being followed by the handler on a 33 foot leash. When the dog finds each article, he indicates it, usually by lying down with the article between his front paws. The dog is scored on how intently and carefully it follows the track and indicates the articles. The length, complexity, number of articles, and age of the track varies for each title. The obedience phase is done in a large field, with the dogs working in pairs. One dog is placed in a down position on the side of the field and its handler leaves it while the other dog works in the field. Then the dogs switch places. In the field, there are several heeling exercises, including heeling through a group of people. There are two or three gunshots during the heeling to test the dog's reaction to loud noises. There are one or two recalls, three retrieves (flat, jump and A-frame), and a send out, in which the dog is directed to run away from the handler straight and fast and then lie down on command. Obedience is judged on the dog's accuracy and attitude. The dog must show enthusiasm. A dog that is uninterested or cowering scores poorly. In the protection phase, the judge has an assistant, called the "helper", who helps him or her test the dog's courage to protect himself and his handler and its ability to be controlled while doing so. The helper wears a heavily padded sleeve on one arm. There are several blinds, placed where the helper can hide, on the field. The dog is directed to search the blinds for the helper. When it finds the helper, it indicates this by barking. The dog must guard the helper to prevent him from moving until recalled by the handler. There follows a series of exercises similar to police work where the handler searches the helper and transports him to the judge. At specified points, the helper either attacks the dog or the handler or attempts to escape. The dog must stop the attack or the escape by biting the padded sleeve. When the attack or escape stops, the dog is commanded to "out," or release the sleeve. The dog must out or it is dismissed. 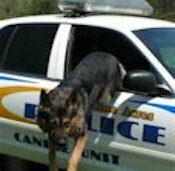 At all times the dog must show the courage to engage the helper and the temperament to obey the handler while in this high state of drive. Again, the dog must show enthusiasm. A dog that shows fear, lack of control, or inappropriate aggression is dismissed. 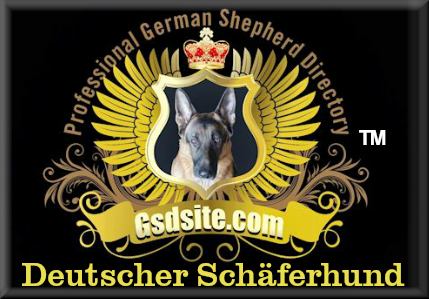 A reliable source for training information is a good Schutzhund club. The overwhelming majority of Schutzhund training is done by owner/handlers at local clubs. There are very few clubs in the US, making books and videos a vital source of information in that country. In the US, most clubs are affiliated with the American Working Dog Federation (AWDF), United States Boxer Association (USBA), American Working Malinois Association (AWMA), United Schutzhund Clubs of America (USA), Deutscher Verband der Gebrauchshundsportvereine (DVG), or German Shepherd Dog Club of America-Working Dog Association (GSDCA-WDA). Schutzhund clubs tend to be small, 20 or less members, because there is a limit to the number of dogs that can be trained in one session. 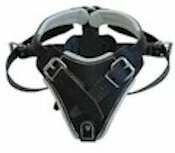 Clubs often provide only limited formal assistance with tracking and obedience. To a certain extent, the clubs exist to provide the specialized resources needed to train the protection phase. However, a legitimate club will not permit a member to train only protection. Usually the more experienced members are willing to help the novice with tracking and obedience, though this is typically somewhat informal in the US. Schutzhund is governed by a number of organizations. The FCI, the international umbrella organization for all things dog related, sets the rules for IPO titles. (IPO is the FCI name for sport Schutzhund titles.) 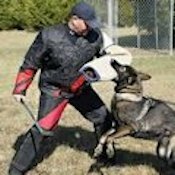 The AZG sets the rules for Schutzhund for all breeds. 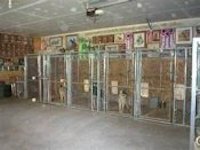 The AZG is one of the component organizations of the VDH, the all breed kennel club of Germany. The German Shepherd Dog Club of Germany, the SV, is a member of the VDH and arguably the most powerful influence on the sport. Although the AZG formally sets the rules, the AZG does nothing with respect to Schutzhund without the approval of the SV. Still, the SV has great influence in the FCI and is probably still the most powerful influence on the sport. The DVG is an all-breed dog sport organization in Germany that organizes clubs and trials and has branches in Canada and The United States. The largest Schutzhund organization in the US is the United Schutzhund Clubs of America, called USCA. In spite of its name, USCA is a German Shepherd Dog breed club. The Working Dog Association is a branch of another GSD breed club, the German Shepherd Dog Club of America, which also sponsors clubs and trials. 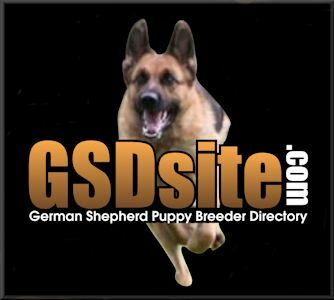 There are a small number of DVG clubs in the United States, various other breed organizations that are involved in Schutzhund, and the American Working Dog Federation (AWDF), which is an umbrella organization. There are other breed specific Schutzhund clubs such as the United Doberman Club. In the case of the Doberman the AKC will not allow you to add Schutzhund titles to your dog's pedigree unless they are earned with the United Doberman Club. This barely scratches the surface. Choosing the best dog snacks is not only a great way to show your precious pet that you care, it’s also a great way to foster successful training, better nutrition, and good oral hygiene. Believe it or not, dog treats have become a billion dollar business. So, wading through the sea of dog treats can be difficult. Still the best dog treats will depend upon your dog’s needs. GSDsite focusus on the best dog snacks in respect to healthy choices, organic and natural options, and popular flavors. When you start to look at the best dog snacks for your dog, consider your pet’s weight, dental needs, age, size, and current health problems. Today’s top dog treats are healthier than ever before. So, be sure to read nutrition labels. We are committed to finding loving permanent homes for the Orphaned dogs in our care. Coastal is an all volunteer, no-kill, non profit organization. 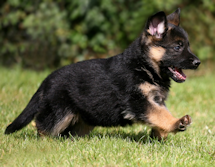 We provide German Shepherd puppies, young adults, trained adults, import service, and all breed dog training. We are located in the Rocky Mountains, just outside of Denver, Colorado.